Is Techland not making Dead Island 2? Amid contradicting reports, Eurogamer speaks to the studio. 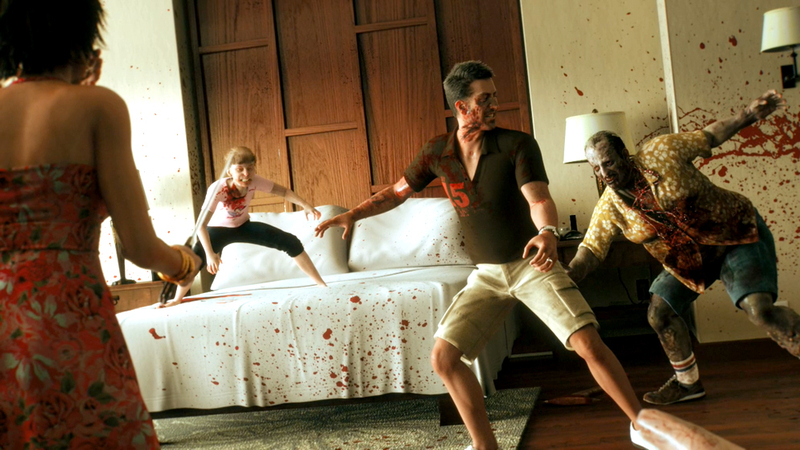 Buggy open world horror RPG Dead Island was an unlikely breakout new IP success last year. It became Polish developer Techland's most successful title. That Techland should develop a sequel should be a no-brainer. Yet, new reports contradict this. IGN Germany heard from "reliable sources" that Yager, the Berlin-based developer of SpecOps: The Line, was being groomed as the developer of Dead Island 2. The German edition of GamesIndustry International corroborated with Deep Silver that talks were under way with Yager about a Dead Island sequel. However, GamesIndustry International also heard that several other studios were part of the conversation, and that "no contract has been signed". All together now, "He went thataway!" Deep Silver later contacted IGN and denied the original report. Deep Silver added the caveat that there was a "legitimate chance" that Yager may be called upon again, "and I would not even exclude the possibility that this could be something within the Dead Island franchise", development director Guido Eickmeyer said. "However," he added, "we have neither something in place or in discussion between the parties that would explain such a news, nor do we have Dead Island 2 in concept or production with external partners." Eurogamer confronted Techland about a sequel last week. "We have lots of ideas for the future but at this time we can't talk about any details," international brand manager Blazej Krakowiak told us. "While Dead Island is Techland's most successful title, it's not a game changer for us." GamesIndustry International understands that Techland is currently working on the much leaked Game of the Year Edition of Dead Island. Talk of a Dead Island sequel stretches back to November, when Techland was spotted trademarking Dead World. Techland didn't comment at the time, but has set the record straight for Eurogamer now. "Okay, let's set the record straight," Blazej Krakowiak declared. "The only thing that happened was that Techland registered Dead World as a trade mark. Let me point out that it's hardly the only trade mark we own. "We didn't confirm or deny anything. We can't stop anyone from jumping to conclusions, but we won't comment on rumours." He added: "While Dead Island is Techland's most successful title, it's not a game changer for us. It's simply another proof that our philosophy of combining proven ideas with innovation and a fresh approach pays off. "In a way, every well received game opens some new opportunities for a developer, and we're very happy with Dead Island's performance. It definitely gave us an incentive to work even harder." In December, Dead Island was thought to have shipped 3 million units worldwide. Techland deferred our recent probing about numbers to Deep Silver, which unfortunately wouldn't comment on numbers. "It's easier to state that Techland can and does work on more than one project at a time." Techland employs "around 200 people", Krakowiak revealed, and more than 160 of them are "directly involved in making games". Is that enough people to handle two Dead Island-sized projects? "It's easier to state that Techland can and does work on more than one project at a time," explained Krakowiak. "Not all projects are of the same size, not all of them are in the same phase of development. "For example, we have recently launched our new brand, Shortbreak Studios, dedicated to mobile games, with its first game already out in the iTunes AppStore. There's also Chrome Engine, our proprietary technology, which we've been developing for more than 10 years. "Some people want or need to switch teams in between projects or even in the middle, when their work (like creating concept artwork) is pretty much done. Others are peerless specialists in a certain field and lend their expertise to all who need it. "It's a testament to the atmosphere at Techland that we have people who have been with the company for more than 10 years," he said, and noted the average employment time at Techland at an impressive six years. Eurogamer's Dead Island review awarded 6/10. Eurogamer's reviews of Dead Island downloadable content Bloodbath Arena and Ryder White awarded 5/10 and 2/10, respectively.